Jetstream Landscape & Irrigation, Inc. Comment: Spring turn on of system. I also believe there is a "broken head or line. Sorry to be vague but former company said there was something to fix he'll do it in Spring. I didn't think much of it assuming he'd be back. He bailed out of Rochester no longer coming here. Nice time to tell me. I'm scrambling. So need some help. We're easy to find. Near Rochester High School. Hope you can help. Comment: Spring clean up and mulch laid all around the house. Rochester Lawn Care Services are rated 4.59 out of 5 based on 2,539 reviews of 40 pros. 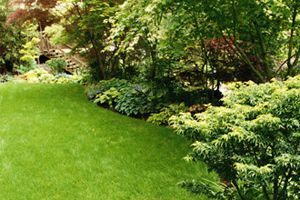 Not Looking for Lawn & Garden Care Contractors in Rochester, MI?